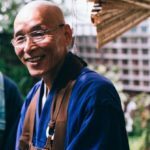 Lama Tsultrim Sangpo is the resident teacher during Gomde’s summer teaching season. 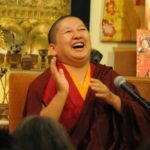 A senior monk and chant master at Ka-Nying Shedrub Ling monastery in Kathmandu, Lama Tsultrim completed the traditional three year retreat under the guidance of Tulku Urgyen Rinpoche and currently trains the younger monks at the monastery in the practice of the ritual arts. 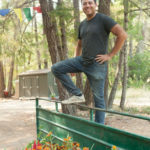 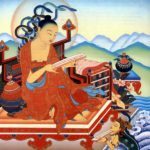 At Gomde Lama Tsultrim offers traditional teachings on core Buddhist texts as part of the Buddhist Studies Summer Program, guides meditators in the residential retreat program, and officiates Gomde’s ritual practices. 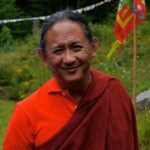 Lama Tsultrim Sangpo is the resident teacher during Gomde's summer teaching season. 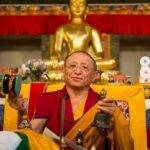 A senior monk and chant master at Ka-Nying Shedrub Ling monastery in Kathmandu, Lama Tsultrim completed the traditional three year retreat under the guidance of Tulku Urgyen Rinpoche and currently trains the younger monks at the monastery in the practice of the ritual arts. 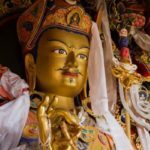 At Gomde Lama Tsultrim offers traditional teachings on core Buddhist texts as part of the Buddhist Studies Summer Program, guides meditators in the residential retreat program, and officiates Gomde's ritual practices.